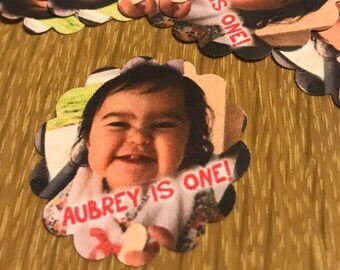 Make that birthday party standout with personalized, 100% custom photo confetti! 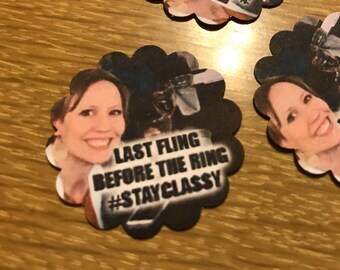 You'll get 50 pieces of 1.5", hand-cut round edge confetti featuring the photo you choose with custom text! Or it can be without text. The back is white. 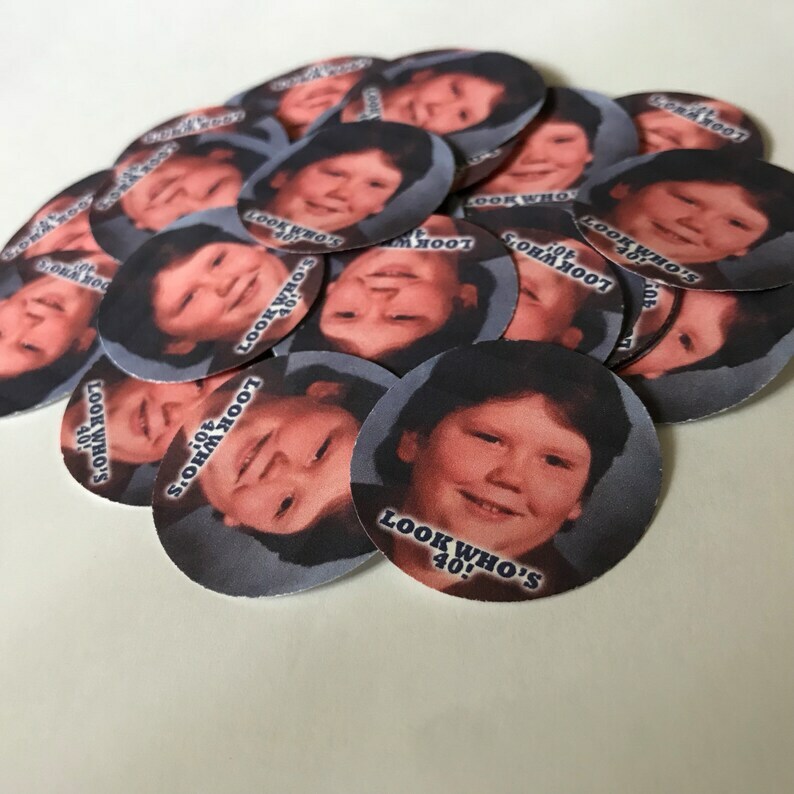 Great for decorating tables, placing in invitations or perfect for cupcake toppers! Just tape a toothpick to the back and your cupcakes are customized! The confetti is printed on cardstock. Let me know if looking for a custom quantity. When checking out, let me know the desired text (around 15 characters, with spaces) and I'll need your photo, in the highest quality possible. I'll work directly with you until we have a product you are 100% happy with. You can email photos to onemoresunshine1 [!at] gmail.com or attach in the Etsy direct message. Will respond quickly to any questions!